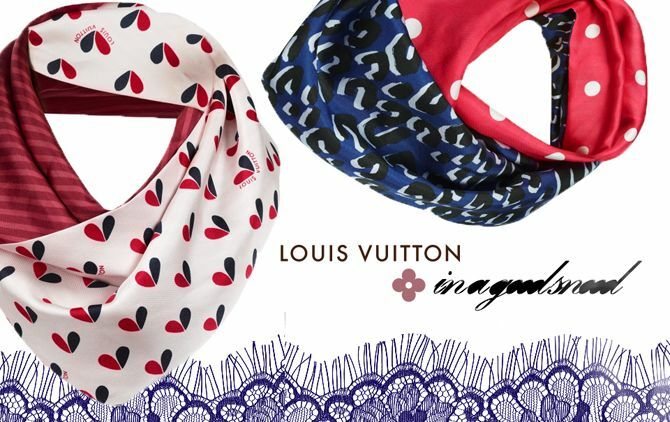 Like a silk jewel, the Louis Vuitton snood adds a twist to any summer look, whether discreet or more daring. They are first introduced in two versions, both adorned with the Louis Vuitton Maison’s signature prints - Leopard & Heart motifs. Le Coeur: Heart motif and Monogram Vernis stripes. The new accessory line will be available for purchase in store worldwide from September 2012 onwards. Great info as always, thx!